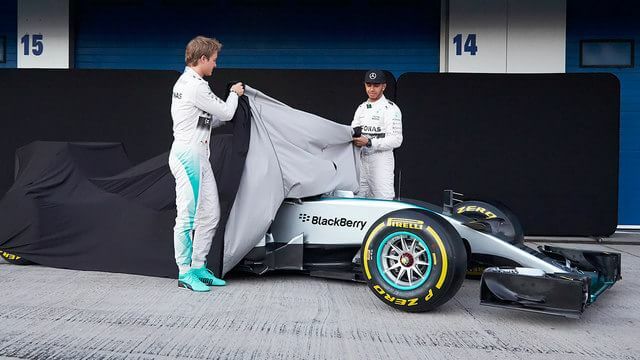 Mercedes opted for the understated launch of pulling the covers off their new car in the Jerez pitlane, the morning of the first test. The car is an evolution of the dominant F1 W05 that took 16 of the 19 available victories last year, and the new version is very reminiscent of its predecessor. The nose has obviously been altered to fit with the revised regulations, but otherwise the team have been focusing on increased reliability, knowing they have the speed advantage already in hand. Technical director Paddy Lowe thinks the attention on the noses is misplaced, as the regulations this year are simply to get the teams designing what the FIA had intended for 2014. "The core concept is to keep the nose as short as possible, with the mainplane of the wing as far forward of it as possible. This has produced a 'clinging on by your fingernails' kind of appearance." The team make no secret of the fact that last year was a revolution for them, and the sport, whilst this year is an evolution. Team boss Toto Wolff is keen to point how hard Mercedes have been working over the off-season, despite the fact they had such a gap in performance to everyone else last year. It would be so dangerous to rest on our laurels after 2014, but none of us have any sense that things will be easier now. On the contrary, our motivation is as high as ever. We are fully aware that success is not only hard won but can also be short-lived without the right approach. 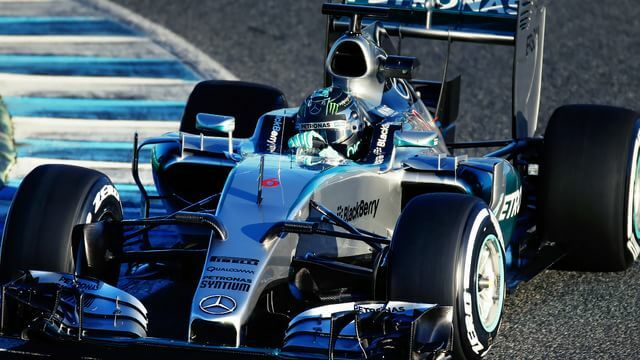 Nico Rosberg got behind the wheel for the first day of testing, and managed to complete a whopping 157 laps. That's the reliability the team are looking for. The German was keen to get his season going, saying: "It's always a really exciting time around the launch - getting to drive the car for the first time, having our first insight into what's new, how it feels, how hard we can push straight away." He's moving on from the disappointment of last year already, but for Lewis it was slightly harder to come away from the restful winter break. "I was working right up until mid-December and had been in the factory earlier that day but then had a couple of weeks away skiing before getting straight back into training after Christmas. It's never great to get back into that routine but it has to be done and my motivation was not lacking in any way." Formula One folklore has it that it's always easier to chase than be chased, so Mercedes may have a difficult job this year. The early signs are all positive, though.